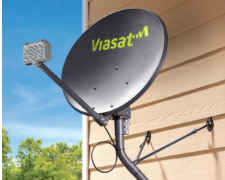 Viasat said ViaSat-2, its next-gen broadband satellite, is ready for service as the company prepares to introduce faster speeds – up to 100 Mbps downstream—alongside new unlimited data plans. Viasat launched the Boeing-built ViaSat-2 satellite last June. Viasat-2, delivered into orbit aboard Arianespace's Ariane 5 heavy-lift launch vehicle, is packed with 300 Gigabits per second of total throughput. “We anticipate launching the service region-by-region, starting as early as next week with national coverage planned for the end of this month,” Mark Dankberg, Viasat’s chairman and CEO, said Thursday on the company’s fiscal Q3 call. Dankberg reiterated that Viasat’s target market will be somewhat “granular” early on, going after consumers that rely on the internet more for video entertainment, as well as consumers who like to stream video but don’t have access to higher-speed tiers – in the area of 25 Mbps to 50 Mbps – via wireline ISPs. To prepare, the company has been testing new unlimited plans on the legacy, bandwidth-constrained Viasat-1 platform, coupled with a “video stream management” system. By the end of the quarter, about 43,000 subscribers were on those test plans on ViaSat-1. Dankberg also talked up ViaSat-2’s flexible bandwidth allocation capabilities, which enables the company to balance the load in the upstream and downstream based on usage patterns and to pump up data to geographic areas where demand is greater. “With ViaSat-1, we found that downstream bandwidth was a bottleneck,” he said. “We would have traded back some of the upstream that we had left over from more downstream if we could.” That obstacle will be removed from the equation with ViaSat-2. In addition to subscriber growth, Viasat also believes that the new satellite will also help it drive higher average revenues per user, by offering faster speeds and by expanding into new geographies and market verticals. Up to 95 percent of the bandwidth on ViaSat-1 is allocated for residential broadband, so its ability to poke new markets is extremely limited. 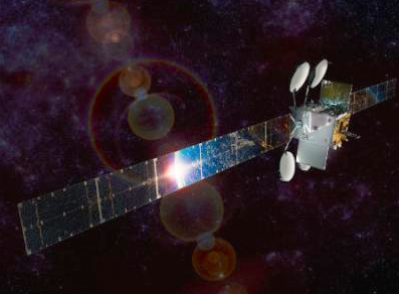 Viasat lost about 12,000 satellite broadband subscribers in fiscal Q3, ending the period with 577,000, but said the loss was partially offset by growth in ARPU. Regarding potential new markets for ViaSat-2, Dankberg said enterprise customers are a good example, citing Comcast as an example where satellite delivery could help to “fill in sites” that aren’t supported by the MSO’s wireline network. Viasat is also developing a set of ViaSat-3 satellites that will provide global coverage by enhancing coverage in the Americas and expanding into Europe and the Middle East and Africa regions. That project has transitioned to the construction phase. Dankberg was also asked to comment on OneWeb, a platform that will use a constellation of low-Earth orbit satellites to deliver services into rural areas, and counts Intelsat, Virgin Qualcomm, SoftBank and Hughes among its investors.